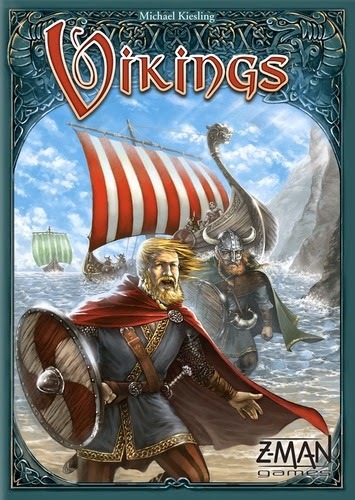 Vikings was originally published in 2007. It was on the Spiel des Jahres recommended list that year. Now Z-Man Games has reprinted this family friendly strategy game. Players are leaders of a tribe of Vikings tasked with the scouting and settling of undiscovered islands off the coast of the mainland. Craftsmen, nobles, and warriors will need to be stationed at these islands to claim and defend the land that will gain you gold and fame for your tribe. 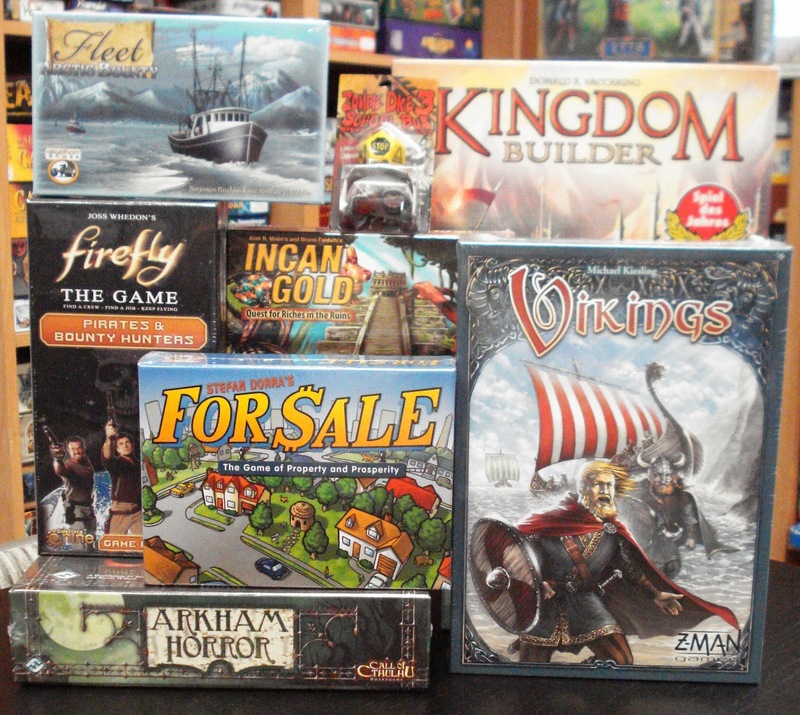 The acquisition and cost of new islands and Vikings is governed by the game board's rotating wheel. 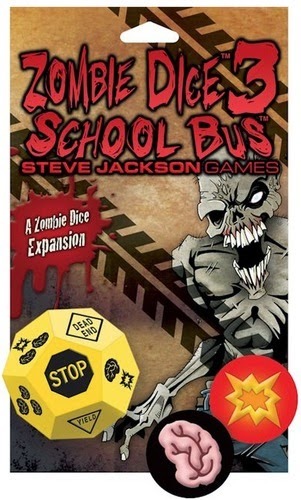 Newly released and in this week's arrival is Zombie Dice 3: School Bus, the latest expansion to Zombie Dice. The living call it the School Bus. The zombies call it the Lunch Wagon. The School Bus is full of tasty brains, but those kids are packing shotguns, too. You might find yourself chowing down on a brain buffet, chasing runners off the bus, getting run over, or getting double-shotgunned! 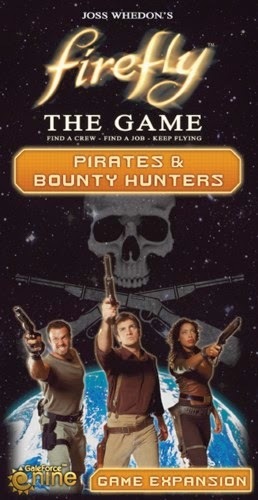 Also new and in from Game Force Nine is Pirates & Bounty Hunters, the 2nd expansion to Firefly The Game. Pirates & Bounty Hunters expansion brings a heavy dose of player versus player interaction the the 'Verse. Raid rival's hips with piracy jobs. hunt down wanted fugitives to collect bounties. Ready your crew for showdowns with brand new supply cards. Explore the 'Verse with 2 new ships. Aggressive new leaders specialize in anti-social strategies while lawmen reward those bringing justice to the 'Verse. 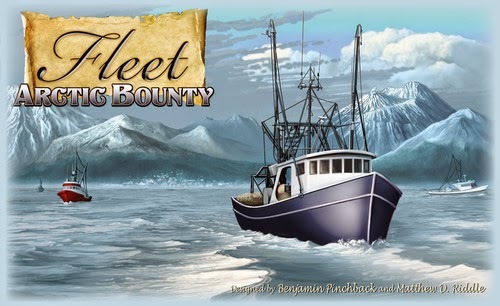 In from Gryphon Games is Arctic Bounty an expansion to the strategic card based game featuring a unique commercial fishing theme, Fleet. Arctic Bounty provides players the ability to choose what license and boat cards to include in a given game, adding a multitued of possible card and power combinations.